We just couldn't get enough of SITA's IT trends so we're back for week number two! It's encouraging to the team at Guestlogix to see the IT sector so focused on innovations in connectivity and mobile capabilities. 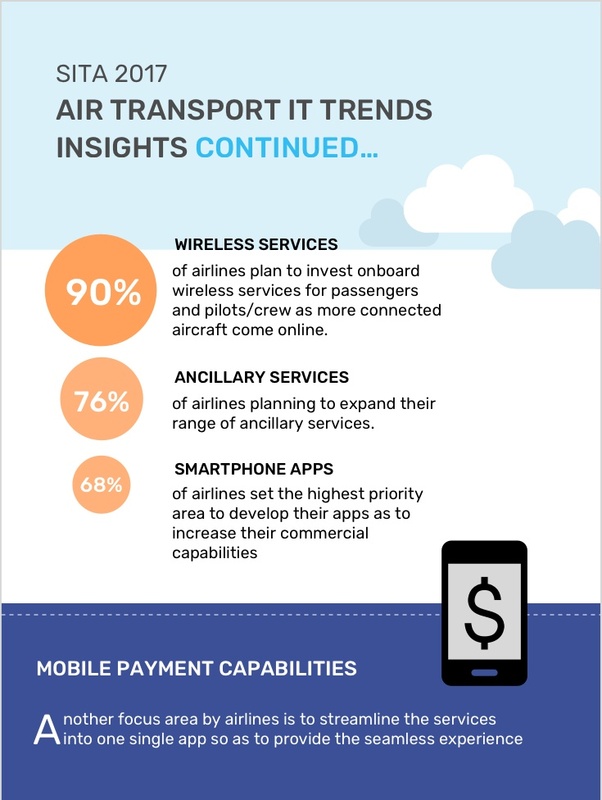 While we've worked hard to create a solution that can operate despite the state of connectivity (or lack there of), the opportunities become endless if over 90% of airlines are planning to invest in on-board wireless for passengers and crews. This act alone would help to break down the barrier between on-the-ground and in-the-air passenger experience. With full access to personal devices, airlines would have a direct channel to their passengers not only on board the flight, but the entire day of journey. The increased time to market and sell to their customers, coupled with the ability to allow their passengers to start customizing their journey with enhanced options from the moment they wake up on day of travel, will ultimately result in increased revenues and higher customer satisfaction.